Jeff Sessions takes new steps to punish "sanctuary cities"
The Department of Justice on Thursday announced that it would withhold federal funds aimed at reducing violent crime from cities if they don't work to cut down illegal immigration. The new steps are aimed at so-called "sanctuary cities," which are cities with ordinances that try to shield illegal immigrants. "The Department of Justice is committed to supporting our law enforcement at every level, and that's why we're asking 'sanctuary' jurisdictions to stop making their jobs harder. 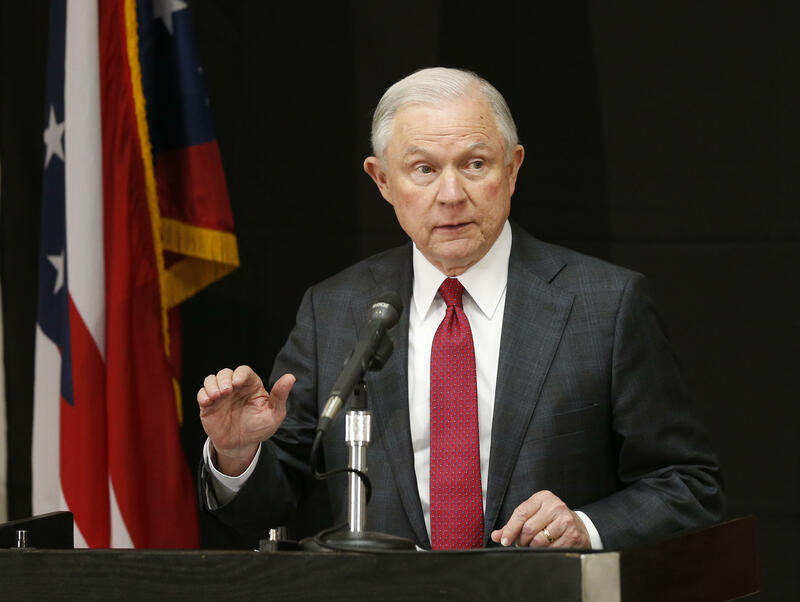 By taking simple, common-sense considerations into account, we are encouraging every jurisdiction in this country to cooperate with federal law enforcement," Attorney General Jeff Sessions said in a statement. The department sent letters to four cities: Albuquerque, New Mexico; Baltimore, Maryland; San Bernardino, California; and Stockton, California that requested federal aid. The administration is asking them to comply with specific terms in order to qualify for the funding. The move comes on the heels of Sessions' announcement regarding a crackdown on sanctuary cities last month.